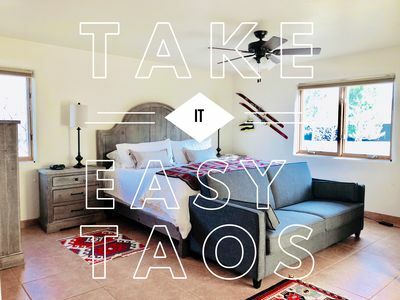 Nestled in a quiet corner of Taos, just 4 blocks from the plaza, Casa Encantada #3’s location along a beautiful tree lined street is considered one of the most desirable. 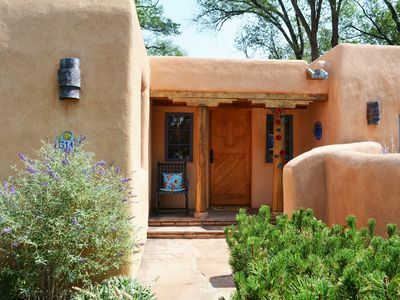 Situated on what was original Pueblo land, this early 1900’s family compound has been transformed into a charming, intimate collection of individually owned casitas. 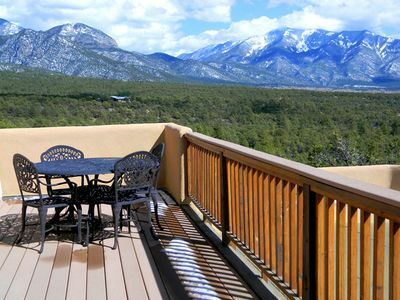 It is the perfect escape for friends, couples and small families. 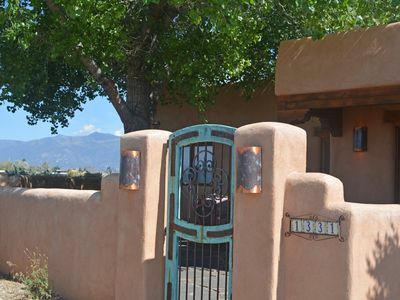 Casa Encantada is a classic adobe compound and our casita offers a stylish, art filled space. 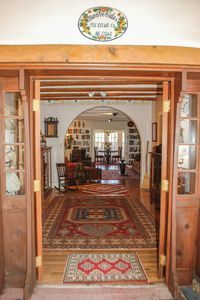 We have gathered furnishings, textiles and artifacts from our travels and proudly display art from a family collection. 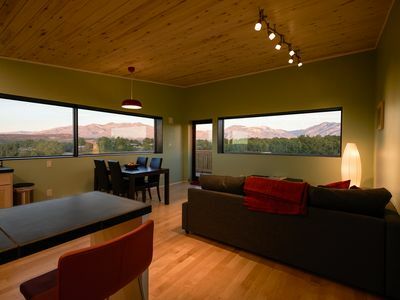 The casita sleeps 2-4 people comfortably with a Queen bed including a newly purchased Serta mattress (hybrid foam/spring) and an American Leather Queen sleeper sofa for overflow. 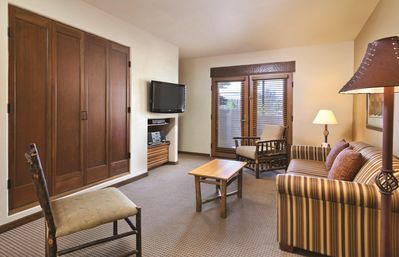 We offer a family-friendly unit and allow children of all ages. 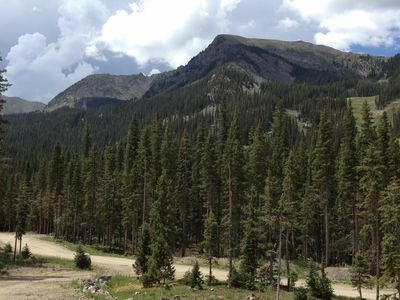 We are also serious dog lovers and understand the joy of traveling with your companion. 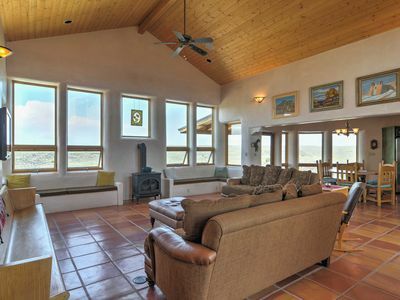 Guests will enjoy our casita’s authentic kiva wood-burning fireplace. 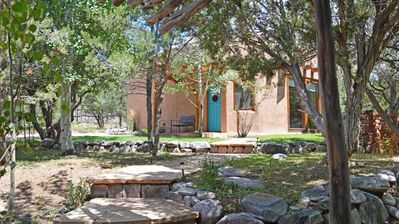 You will also find two private outdoor areas, front and back. 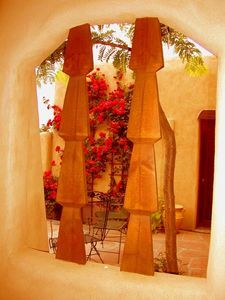 The front courtyard is perfect for a quiet breakfast or evening happy hour. 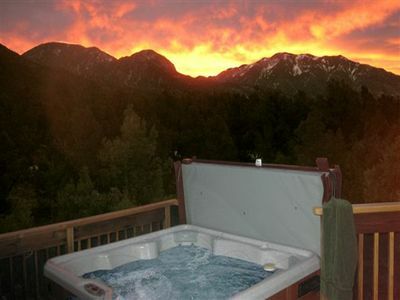 The back patio provides a secluded space to soak in the hot tub and watch the stars at night. 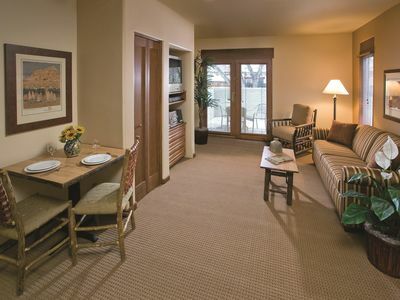 Additional amenities include a new washer and dryer, a fully equipped kitchen, Smart TV and high speed internet. 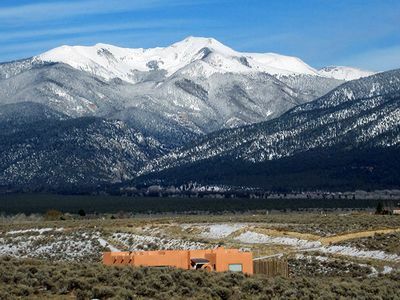 We feel very fortunate to have recently purchased our first home in Taos, an area that holds special meaning to us. 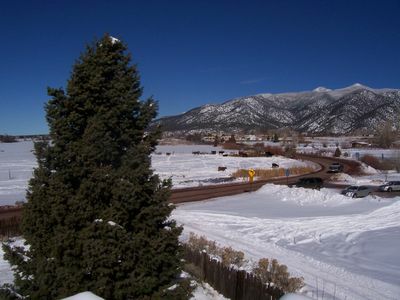 We moved here from Washington D.C. in 2009 as a young couple, we became engaged and were married on the Taos Mesa in 2011. 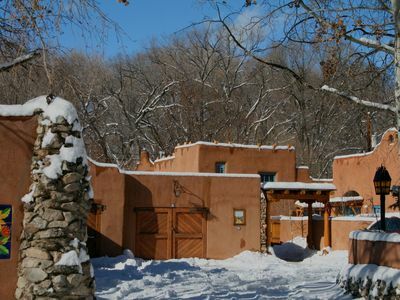 Although our careers eventually brought us to Denver CO, we consider Taos our first true home together. 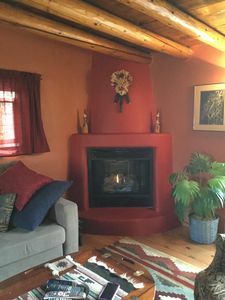 Our beloved casita allows us to visit Taos often to appreciate the charm of this historic town and to enjoy the beauty of Northern New Mexico, a landscape unlike any other. 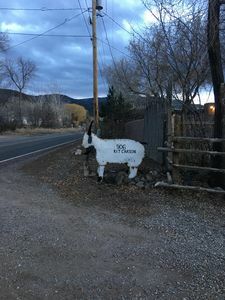 We are thrilled to be able to share our home, and our love for the area, with each of our guests throughout the seasons. 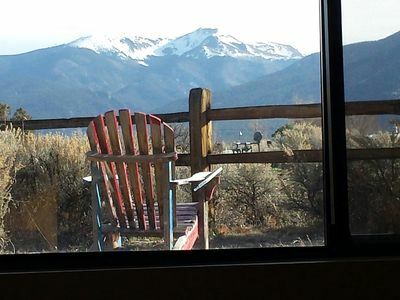 Inspiring views and very convenient location. 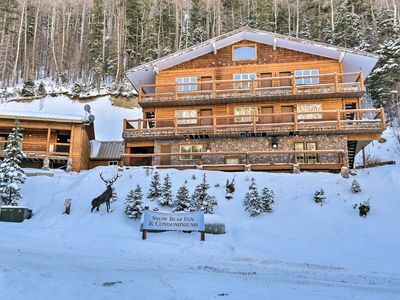 Pet Friendly Ski-In/Ski-Out Taos Ski Valley Condo! 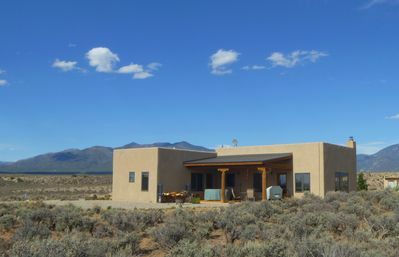 Modern House With Panoramic Mountain Views Of The Sangre De Cristo Mountains.